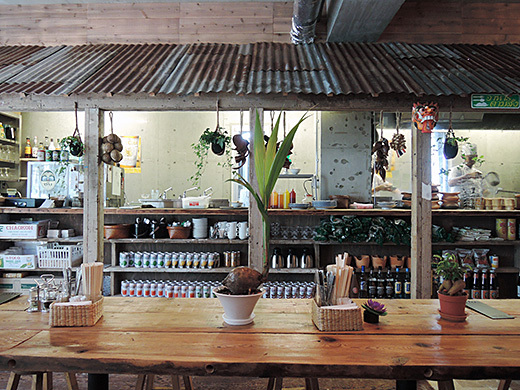 In Shimokitazawa, there’s a lot of fun shops are placed at narrow side streets. 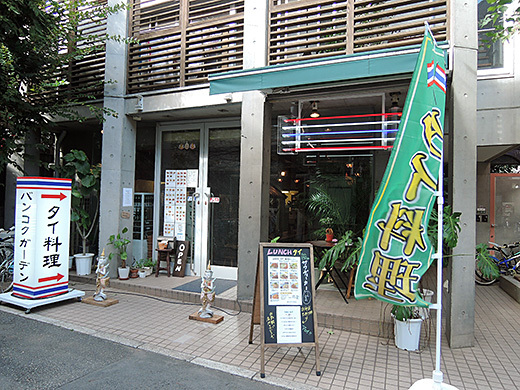 Bangkok Garden is latest address of one of these, Thailand food restaurant. 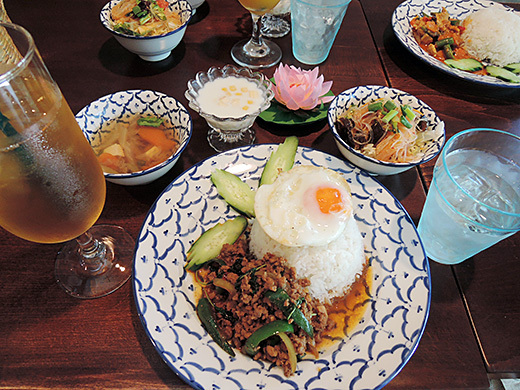 I had “Phad Bai Gaprao” lunch set. It was fun and really good they serve small dishes and dessert with that. I’ll definitely go back there again soon.